If you are interested in the mysterious X-factor of success for a personal website design, keep on reading! The success of a personal website design depends on many factors. Some of them are purely technical, e.g., how quickly your website loads and how good it looks on mobiles — other factors that predetermine the success of a personal website concern aesthetics, like the right choice of the personal website color scheme. Apart from the technical and aesthetic factors, there is also this mysterious X-factor that seems to be hard to predict, if you are a novice in the online world. 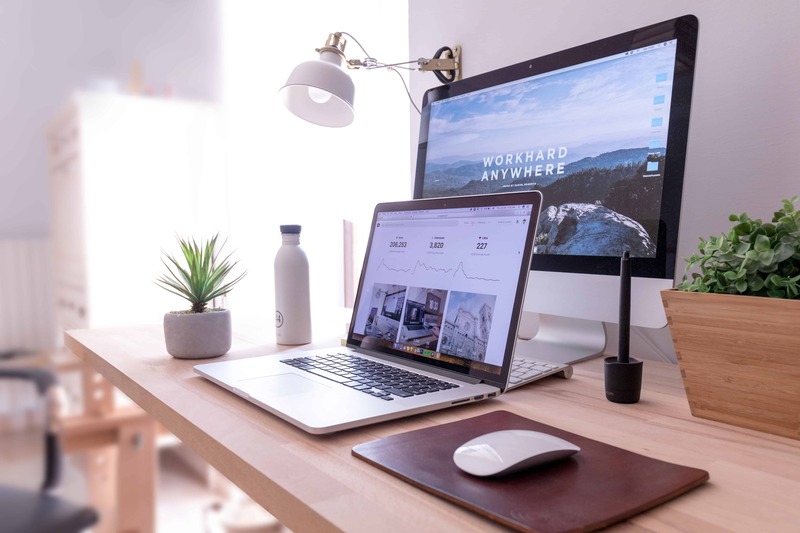 All the factors mentioned above that define whether your personal website design is going to win the immediate attention online have one thing in common. You can work on them. Believe it or not – putting some effort into perfecting your personal website design will bear fruit much sooner than you might expect. Keep on reading to learn how to perfect your personal #website #design technically and aesthetically. Spoiler Alert: If you are interested in the mysterious X-factor of success for a personal website design, there is an explanation for it in our post as well! Is it responsive? It would be great if a trial version of the cms you want to use allows you to check a mobile mode, a tablet mode, and a desktop mode. How high is its loading speed? Online visitors are getting more impatient every day. You will have a few seconds to make them have a second look at your web page. Is it SEO-optimized? Congrats if you have time to learn what makes a good H1 and professional metadata. 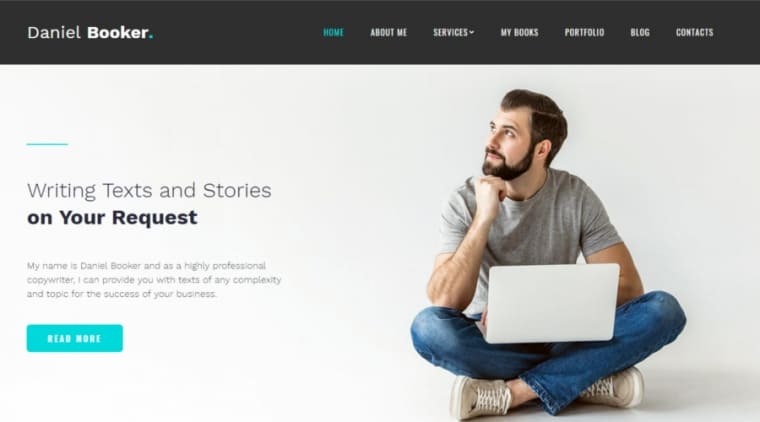 If your time is limited, then do your best to find a personal website design that does not contain web design mistakes which can hurt your SEO efforts. Personal web page builder with the drag-and-drop functionality. Changing the location of the “Contact Me Now” button can have a crucial impact on your career, you know. Advanced color scheme instruments – It is essential to use the appropriate personal blog color combination for better reader engagement so it would not hurt to have a tool that is capable of distinguishing dominant colors automatically, like Color Picker from MotoCMS, would it? If you are expecting to learn a secret ingredient for a successful personal website design, here it comes. Stay honest with your online visitors. As you have understood from the information above, pretty much everything can be customized with the professional cms. The mobile-friendly design, the layout of your Homepage, the loading speed will attract visitors only if you demonstrate how honest and respectful you are. There are several simple ways to do so. For instance, start your blog with a coming soon page, answer the comments promptly, experiment with special offers and giveaways. Making a personal website with Identiz is as easy as ABC thanks to the drag-and-drop website editor. To make this personal website design, watch interactive tutorials and consult your personal assistant via a live chat or a phone completely free of charge. 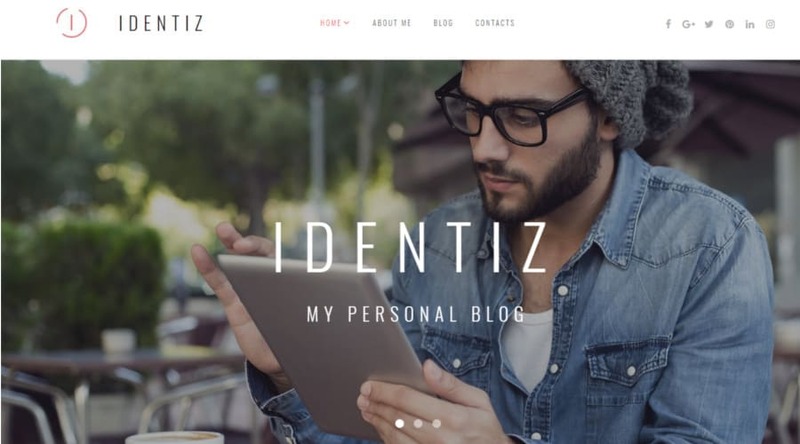 Enjoy the professional card layout of Identiz to stir the interest of your online visitors. Anna Solas stands for an excellent quality and an extra quick loading speed. Designed for creative professionals, like photographers, this template contains a personal web page builder. With this builder, you can modify the layout and the style of any element on a screen easily. Usually, having a personal website takes a lot of time. 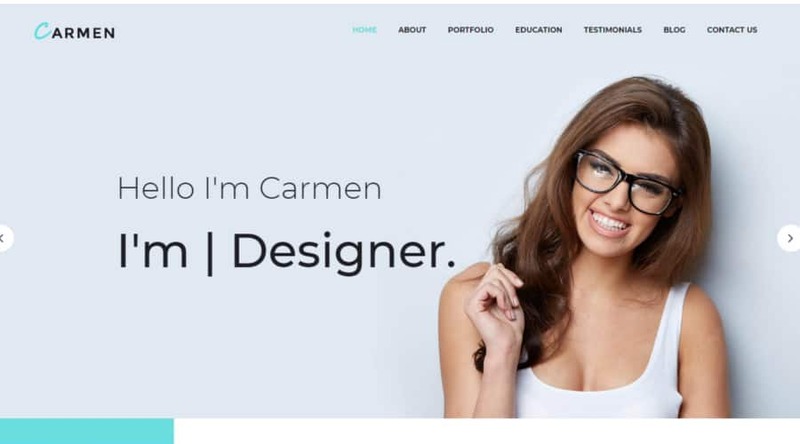 This is not the case for Carmen, the personal website design that can be customized and launched within hours. View the live demo to experience the real beauty of the bright color palette combined with interactive widgets, like progress bars. Try your hand at making a personal website with Daniel Booker. You will discover that there is nothing difficult about the web design if you have the right template to work with. Thanks to the interactive and user-friendly admin panel, Daniel Booker is an excellent tool for non-developers who need quick results at a reasonable price. If you are looking for personal web page design ideas, then sooner or later you will realize that a video blogger needs a website with powerful Media Library. As the content of your future website is going to consists of videos (mainly), you need to make sure that the content will not compromise the loading speed. 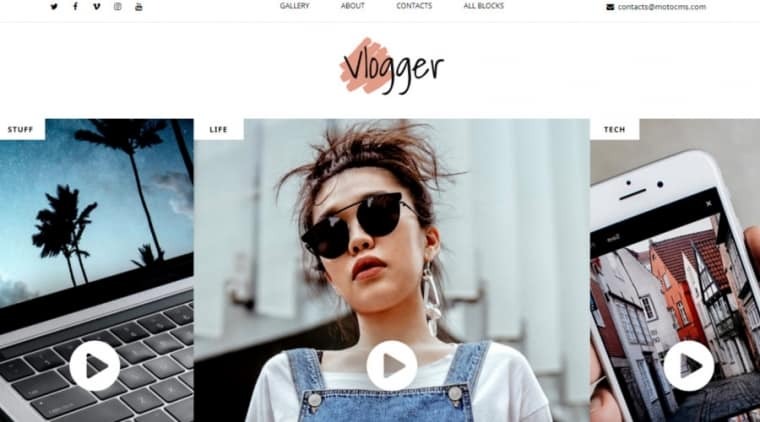 This is exactly why you should register a free trial of Vlogger – to see how quickly this template loads! Instead of creating a personal website about page, give Hello a look. 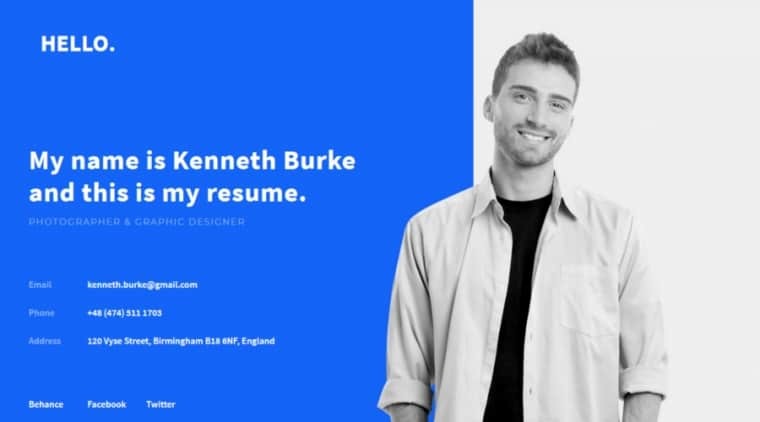 This personal portfolio landing page template is straightforward and easy to build. Feel free to use the Color Picker with its five dominant colors to customize the whole color palette of your prospective website within seconds. 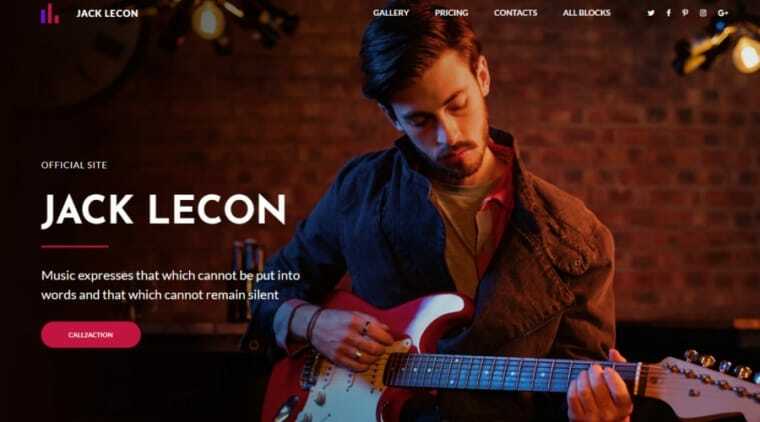 Everything in Jack Lecon is designed for music professionals. The soft and yet memorable personal website color scheme accompanied by an elegant logo create a solid impression. Thanks to the elegant icons and interactive widgets, your music will not only sound but also look great online. 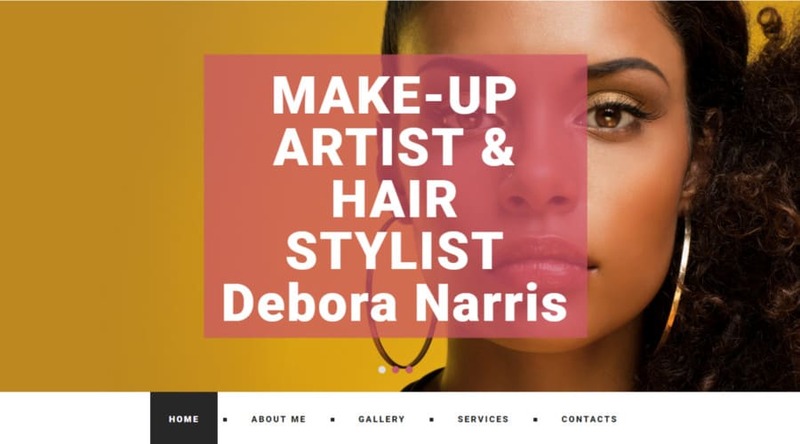 Debora Harris is one of those personal website templates that can be transformed into a number of websites easily. A make-up artist, a hairdresser, a fashion stylist are specialists that will find Debora Harris promising for promoting their services online. The vibrant colors and the powerful galleries (Slider, Grid, Carousel) will help you build a solid online presence in no time. 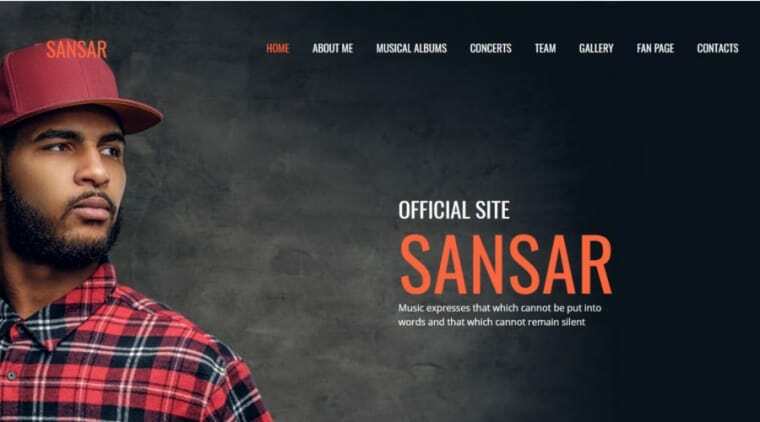 Sansar belongs to the premium templates, originally designed for music artists. This template is filled with excellent widgets that will help you put all your personal web page design ideas into action. Feel free to announce your next gigs and tours as well as sell tickets – all without any coding skills! 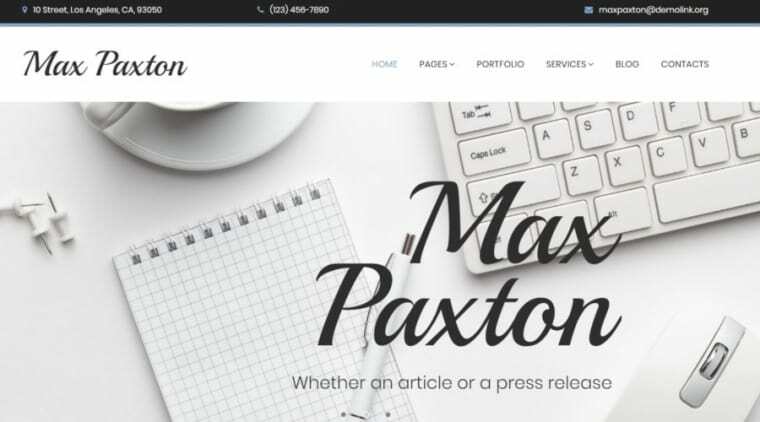 Visit the personal website about page in Max Paxton to see how you can combine your bio with call-to-action buttons professionally. The services page in this personal website design is also very informative and easy to follow. Experience how gorgeous Google fonts can look, if applied properly. A personal website design is a complex multi-component structure. That is why both the technical and the aesthetic aspects have to be developed thoroughly and stay in balance. Published on December 4, 2018 by Tim Ross; modified on December 3, 2018. Filed under: web design. Tim Ross is MotoCMS marketing manager. He is a professional content creator.